Rocknet Rock Radio is live broadcasting from South Africa. 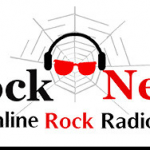 Rocknet Rock Radio broadcasts 24/7,they plays nonstop Acoustic Rock, Hard Rock, Soft Rock, Classic Rock, Live recordings as well as music from a range of era’s and artists. If you love it…you’ll find it on RockNet Rock Radio. Rocknet Rock Radio is one of the most famous online radio station on South Africa. Rocknet Rock Radio is digital platform to discover the best new Rock Tunes daily, as well as to take time to enjoy the classics. Here at RockNet we believe that talent is everywhere (especially in South Africa) and it’s our job to find it, play it and keep you up to date with the latest information from the Artists, Bands and Venues locally and abroad. Rocknet Rock Radio features an online stream of great music, artist interviews, live performances, current events in music and a whole lot more. We are particularly passionate about South African music and whilst there is so much great SA music out there…it’s not getting playlisted, whilst irrelevant forgettable pop tunes dominate the airwaves.